Submit your artwork for special projects. 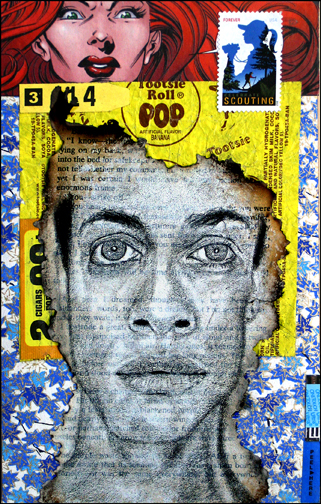 In addition to works from visiting artists, the Galleries host two annual juried exhibitions — the Arnie Hart Juried Student Exhibition, a competition for Northwest Florida State College student artists, as well as the Emerald Coast National Juried Fine Arts Exhibition, which is open to artists from all over the United States. 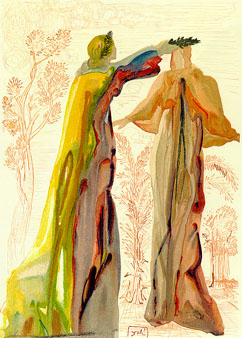 The NWF State College Permanent Collection is featured in annual winter and summer exhibitions. For more information about these exhibitions, please contact Galleries Director KC Williams at artgalleries@nwfsc.edu. Len Davis’ A Thousand Words series explores the complicated interplay between the figurative and the literal. 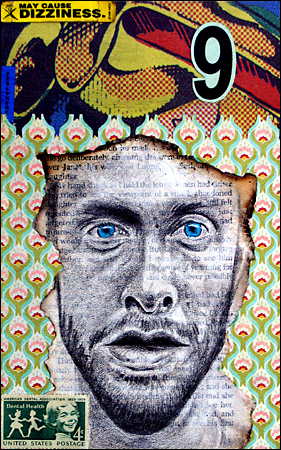 The series consists of 100 8”x5” collages combining drawings of faces, text, and newsprint pages. With this series, Davis is illustrating the differences in understanding we derive from reading facial expressions and reading text. 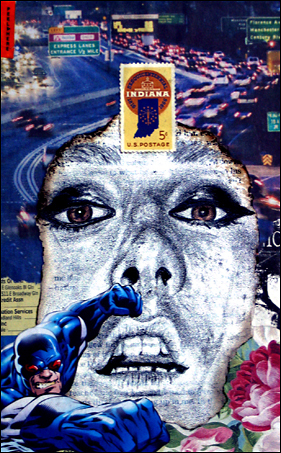 In each collage is a face, which we interpret to understand how the person is feeling, while the text or images clearly explain the person’s feelings. The text and the facial expressions work together to build a mental image in viewers, ultimately proving the old adage that a picture is worth a thousand words. The Mattie Kelly Arts Center Galleries house a world-class, multi-million dollar permanent collection assembled since the founding of NWF State College (then Okaloosa-Walton Junior College) in 1963. Selections from the Permanent Collection are displayed in the Galleries at least twice per year, during the Summer Highlight and Holiday Spotlight. More than 1,000 artworks make up this teaching collection, which includes multiple sub-collections. The beautiful and expansive McIlroy Gallery features an 18-foot ceiling constructed with screened windows, allowing in diffused natural light. This gallery was a gift from the McIlroy family through the NWF State College Foundation. The pristine Holzhauer Gallery was named after famed artist Emil Holzhauer, who generously donated a multi-million dollar permanent collection of his works to NWF State College. 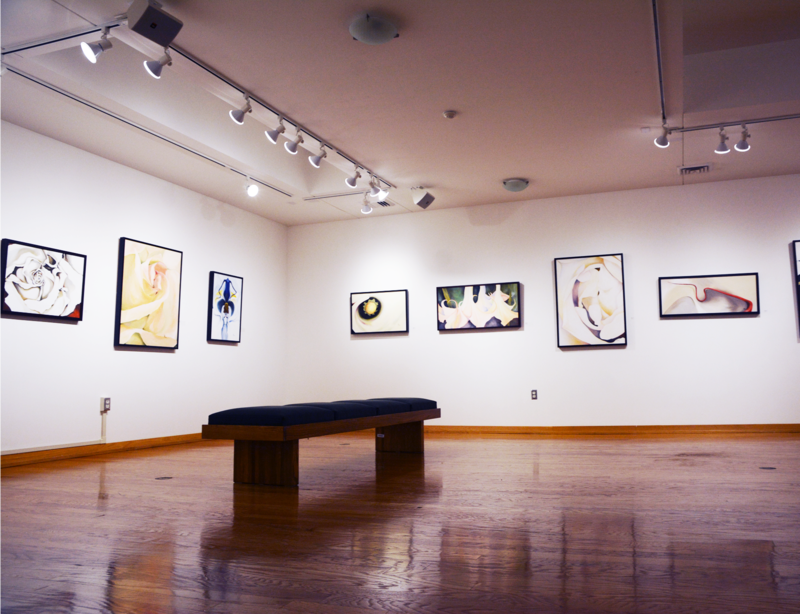 The Holzhauer gallery is an intimate room for exhibiting our guest artists’ work. What hours are the galleries open to the public? Our hours of operation are Monday to Friday, 10:00 am to 4:00 pm (CST), and 90 minutes prior to most performances in the Mainstage theater (generally 6:00 to 7:30 p.m.) We are closed most holidays. Can we take photos or video inside the galleries? No, out of courtesy to the artists, we do not allow photography or videography inside of the galleries unless given explicit permission by the artist. Can I display my work in the galleries? 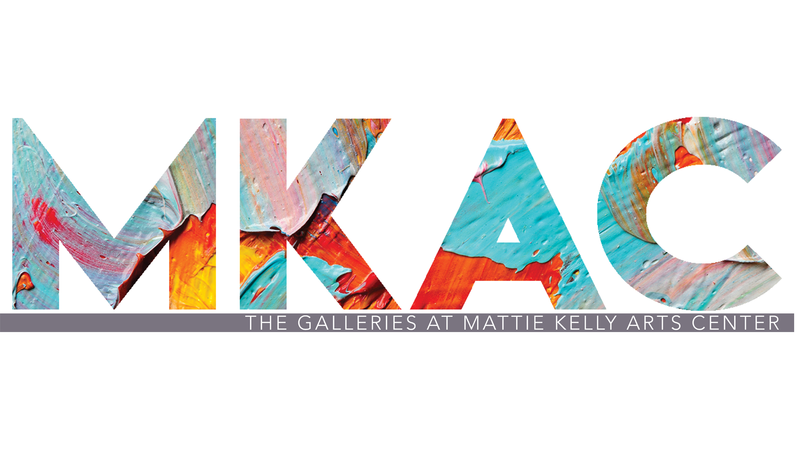 At the Mattie Kelly Arts Center Galleries, we are proud to display exhibitions from acclaimed artists from around the world. While we don’t rent our galleries to the general public for personal exhibitions, we do offer juried art competitions each year that give contest winners the opportunity to display their work in a solo exhibition. To submit your work, fill out the Call to Artists application. Can I bring food or beverages inside the galleries? Sorry, but no food or beverages are allowed inside of the galleries. There are water fountains located near the restrooms for you convenience.